Get to Hawaii is a provider of online travel solutions to many travel-related clients. This includes consumer websites, travel suppliers, affiliates and travel agencies. Plus, we try to help anyone trying to figure out how to get to Hawaii, whether for pleasure or business . Agents can use our online AgentDirect solution to easily and quickly book travel directly through wholesalers or suppliers. This replaces the former processes of numerous phone calls, faxes and email. Our partners are long time players in the Hawaii travel industry. Because of this, we have access of a wide range of discounted Hawaii travel inventory. As a result, we can help visitors, agents, wholesalers and suppliers looking for competitively priced Hawaii travel inventory. Individual (FIT), group, and corporate travelers can use our solutions to find and instantly book travel. This includes booking flights, hotel, rental car or activities all within a few clicks. As a result, there’s no need for surfing multiple sites or waiting on the phone. For example, with our booking engine solutions, if your customers need to travel to the beautiful Aloha State, we can show them the cheapest way to get to Hawaii. Global, regional, specialized travel wholesalers can use our solutions to increase the distribution to agents, travelers and suppliers. This will enable their customers to get access to low-priced, customized travel packages during any time of day. Airlines, hotels, cruise lines, rentals and activity providers can more efficiently manage their travel inventory. By doing, so they can better serve wholesalers, agents and travelers. We do this by offering the convenience of one-stop-shopping for a wide range of travel needs. Our robust solution also searches and consolidates flights, cruises, hotel rooms, rental cars and activities into one package. Furthermore, our booking engines does this searching for the best prices that it can find online. Check out our many money-saving special deals by individual Hawaiian Island as noted below. 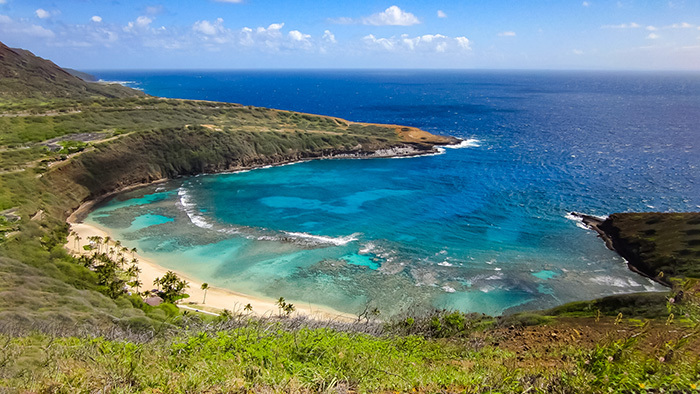 For information on how to travel to Hawaii in the most inexpensive way possible, check out our Get to Hawaii website for a wide range of Hawaii vacation packages to Honolulu, Maui, Kona, Kauai, Molokai and Lanai. © 2019 GET2HAWAII, INC. ® | All rights reserved.